Suede upper with leather sole. 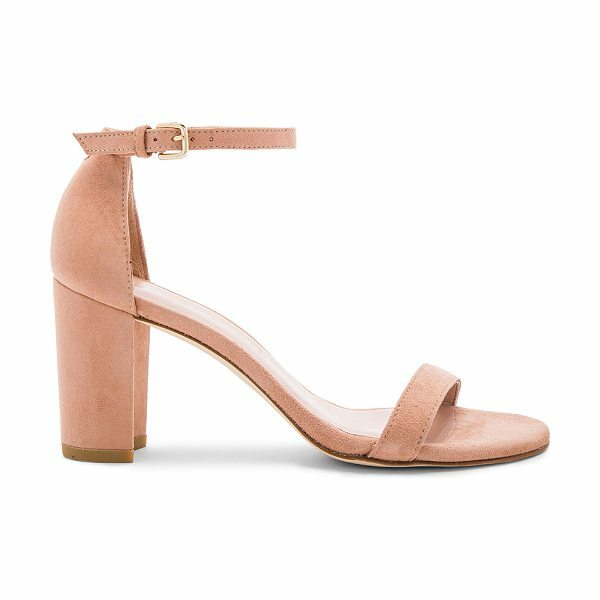 Ankle strap with buckle closure. Heel measures approx 3 H. STUA-WZ159. NEARLYNUDE. Stuart Weitzman's trademark use of unique materials (e.g. cork, vinyl, Lucite, wallpaper, and 24-karat gold) and his attention to detail have garnered him and his company a global following and admiration. His shoes are now sold in 45 countries everywhere from France to the West Indies to Japan to here at Revolve. Indulge yourself.